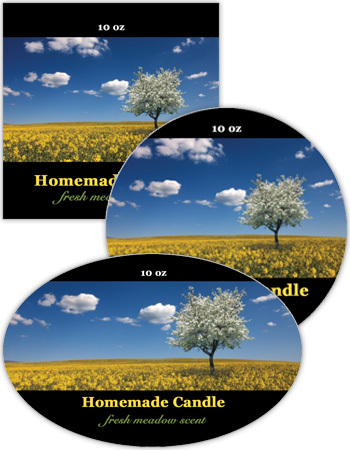 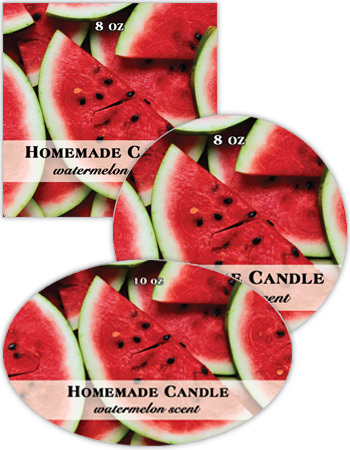 Custom Candle Labels, Candle Tin Labels, Candle Favor Labels, Votive Candle Label with 1000s of design possibilities and instant preview. 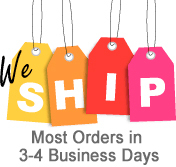 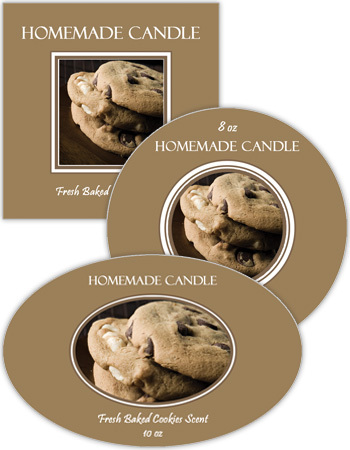 Choose From 1000s Designs & Sizes. 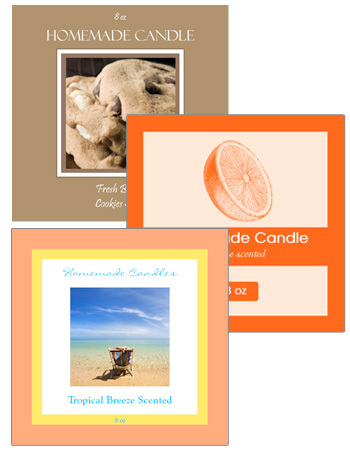 Pick Your Colors, Fonts, Image & More. 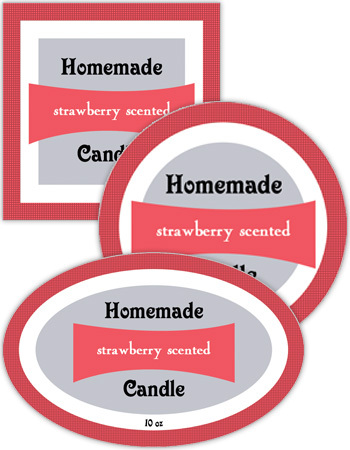 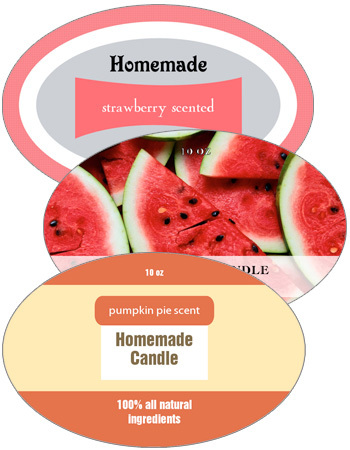 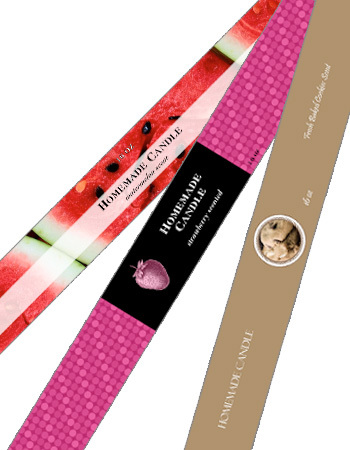 If you make your own candles you need look no further than LabelsOnTheFly.com We carry one of the largest varieties of unique candle labels that can be specially personalized to represent your candle scent as well as any event you may have. 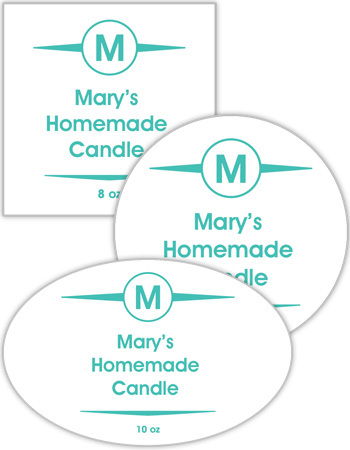 We have a wide variety of personalized candle Christmas labels as well as Hanukkah Candle Labels. 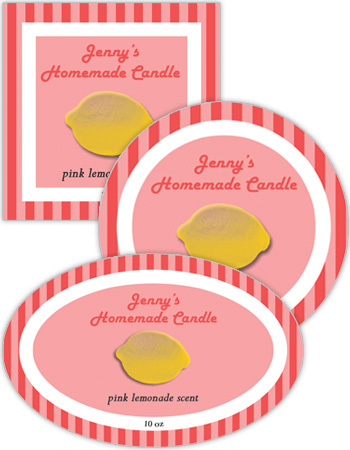 In addition, all of our wedding labels can be personalized and used as wedding candle favor labels. 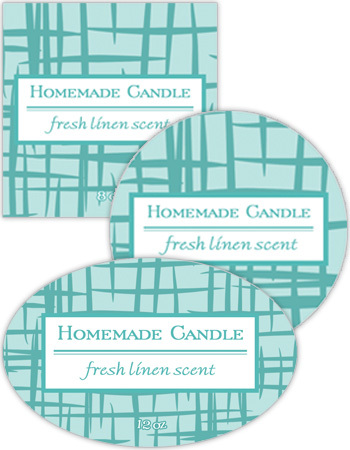 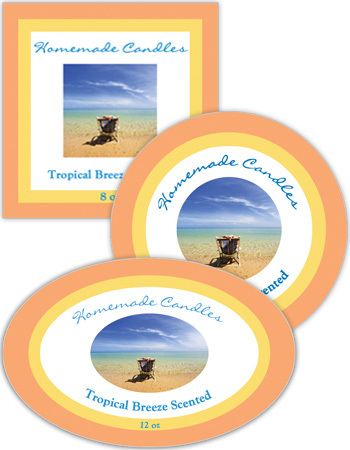 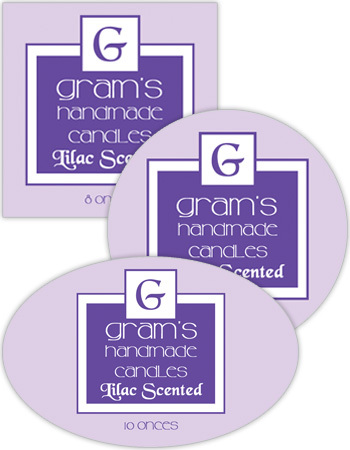 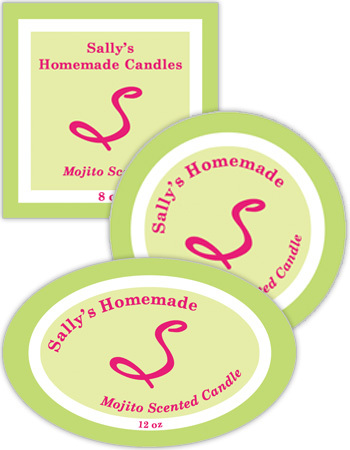 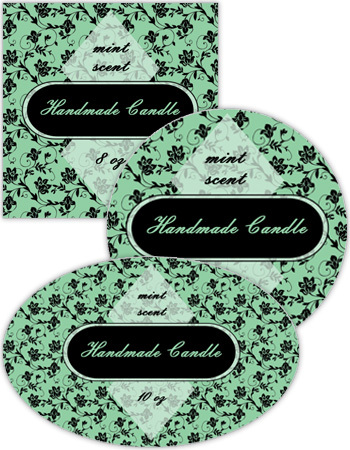 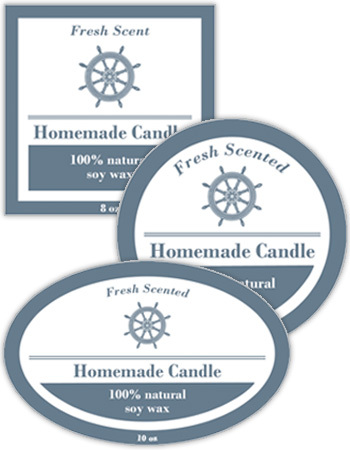 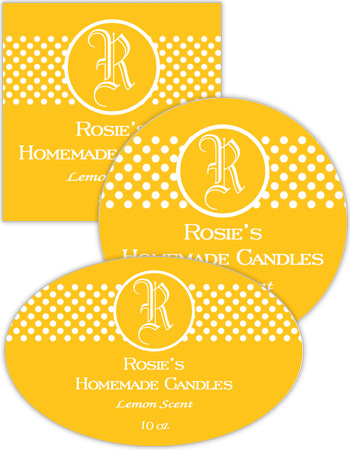 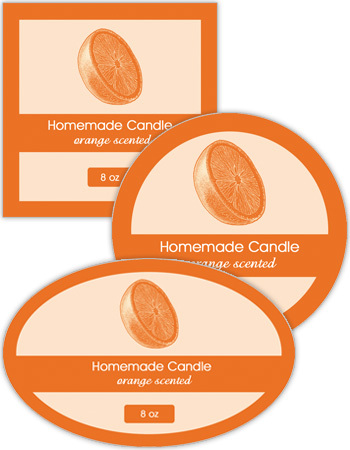 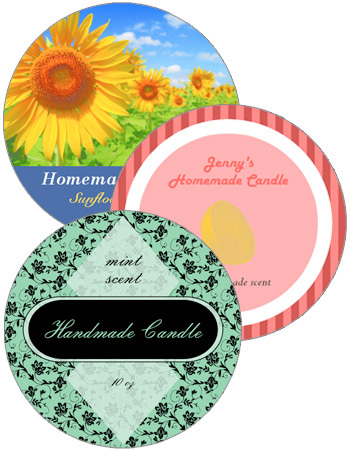 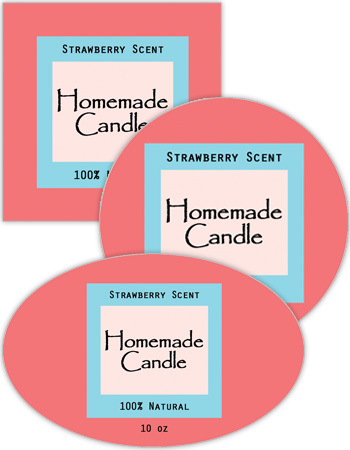 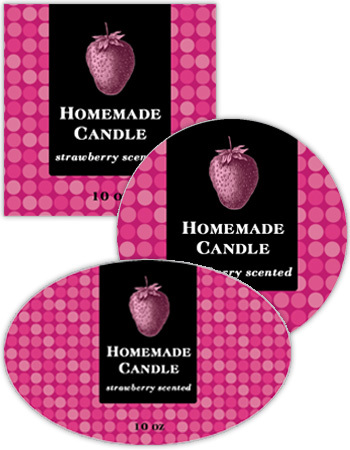 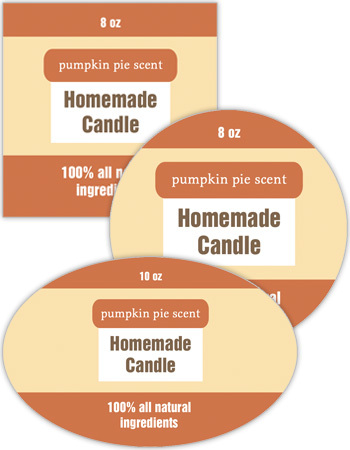 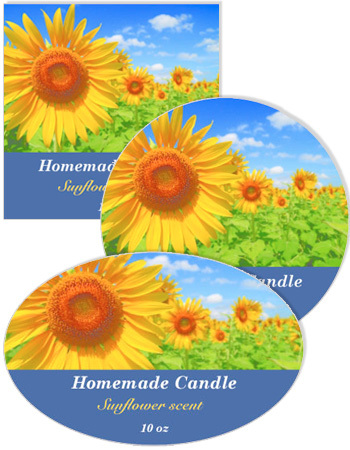 All of our custom candle labels come in a variety of shapes and sizes, including square candle labels, circle candle labels, oval candle labels as well as wrap around printed candle labels. 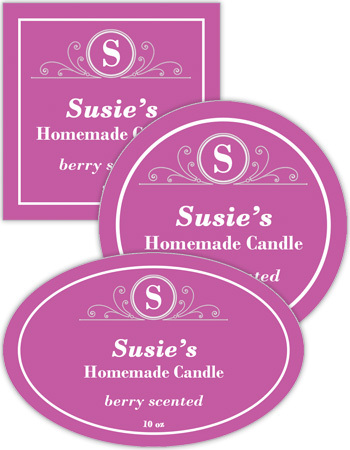 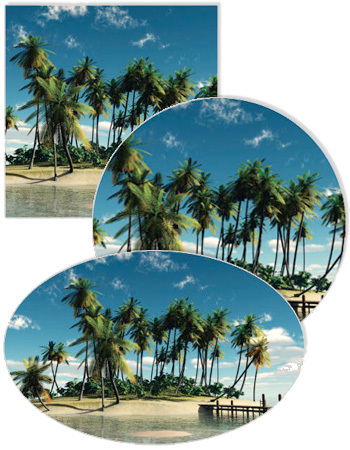 We also carry a wide variety of candle hang tags as well as candle photo labels.